Who cares who this donut is named after? The important thing is the donut is delicious because it is creamy and filled with almonds. This donut gives that sweet tiramisu taste along with whipped cream inside it. There is peanut butter inside this donut which automatically pleases me. The newly opened store at Trinoma now has chair outside for people who won't mind waiting just to get in line inside the place. This is the first time I have seen a donut themed restaurant that attracted this much attention. There are a lot of people who say this restaurant is only good in the beginning but I don't think that is the case with this restaurant. The service here is nothing to talk about but that's alright since most people go here to take out a dozen donuts anyway. 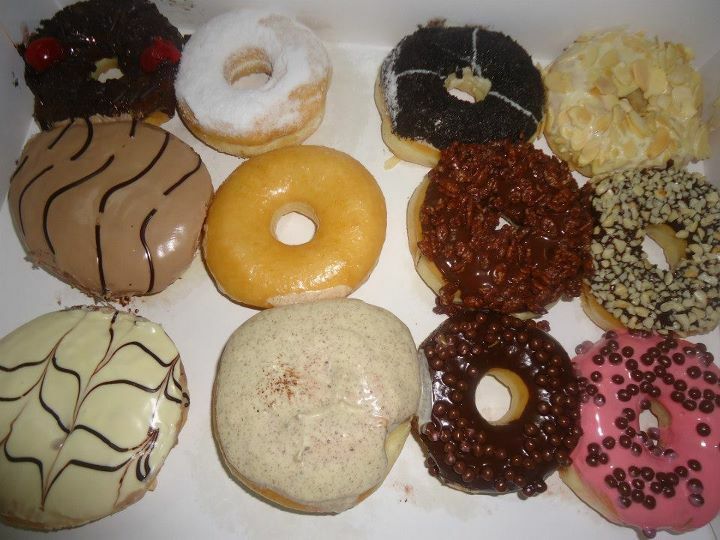 It is only a matter of time before J.Co would have as much branches as Krispy Kreme. There is always that complain from customers that their favorite flavors are already out of stock when it is already their turn. The simple solution for this is to buy donuts during office hours or you can tell the staff you will wait for your preferred donut. It is worth the wait anyway.